The California Bee Company is a family-owned small apiary business tended by Jeremy and Virginia Rose. Proud to be the premier source for LOCAL RAW UNPROCESSED WILDFLOWER HONEY in San Luis Obispo County. 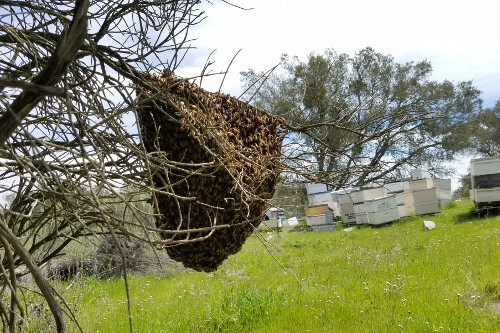 We breed bees and place thousands of colonies at dozens of pristine wildflower ranch locations throughout central California. We are so grateful to provide RAW HONEY in numerous rare varietals sourced from our own bee hives, and we are passionate about protecting the pure depth-of-flavor present in natural honey. We also breed locally adapted queen bees and sell 4-frame nucleus colonies during the spring. As supporters of the local food movement we sell almost all of our products exclusively at our local farmers markets.